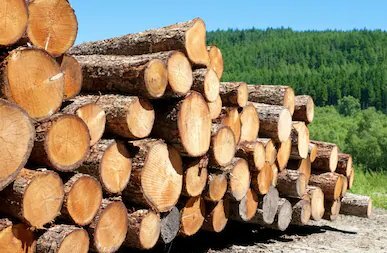 Global warming and changes in weather patterns are affecting tree growth and may have a significant economic impact on the forest and wood products industries worldwide. This will also affect Australia but for different reasons. In Central Europe, over the past 120 years atmospheric CO2 concentrations, nitrogen deposition, mean annual air temperature and annual precipitation have all increased, creating extended growing seasons and higher wood-volume growth rates. This sounds like good news - except that accelerated growth rates are accompanied by a reduction in wood density. Using wood samples from the oldest existing forest research plots in Europe, German researchers found that the tree species which dominate their domestic market - Norway spruce (Picea abies), Scots pine (Pinus sylvestris), European beech (Fagus sylvatica), and sessile oak (Quercus petraea) - have experienced a substantial (8-12%) decrease in wood density since 1900. Wood density influences stiffness and strength, which are essential for the mechanical stability of individual trees and the quality of harvested timber. There are also ecological implications. Trees with less dense wood may be more vulnerable to breakage caused by heavy snowfalls or wind, and projections of carbon sequestration and biomass accumulation are likely to fall short if not offset by increased volumes of timber. Down Under, things may be different. About 65 years ago Australian breeding programs using softwoods such as radiata pine (Pinus radiata) started focusing on improving growth rates, straightness of trunks and the number and size of branches, in order to maximise the amount of structural-grade timber that could be recovered from each tree and per hectare. But there has been a significant change in direction over the last 20 years, according to Dr Tony McRae, general manager of the Southern Tree Breeding Association. "Traditionally, tree genetics programs have concentrated on improving growth, form and tree health, because it hasn't been practical to conduct wide-scale assessments on wood density in standing trees. "However tools that can measure wood quality traits non-destructively are being used increasingly to assess standing trees. "Wood density is correlated to characteristics such as timber stiffness, strength and hardness. "There is a trade-off between wood quality and growth rate, and if you just select for high growth rate the quality can be compromised. "Increasing the growth rate gives a higher volume of timber, but it might not be worth as much per cubic metre," said Dr McRae. If the global rise in temperature reduces water availability in Australian forests, but isn't enough to result in sunscald or drought, then growth rates will slow down and the density of the timber - and its value per hectare - should increase.